Every organic farm has a farm fleet — the equipment needed to make farming economically, environmentally and physically sustainable. On a recent working visit to Riverland Farm, I came across one of the nicest pieces of farm transport I’ve seen in some time. 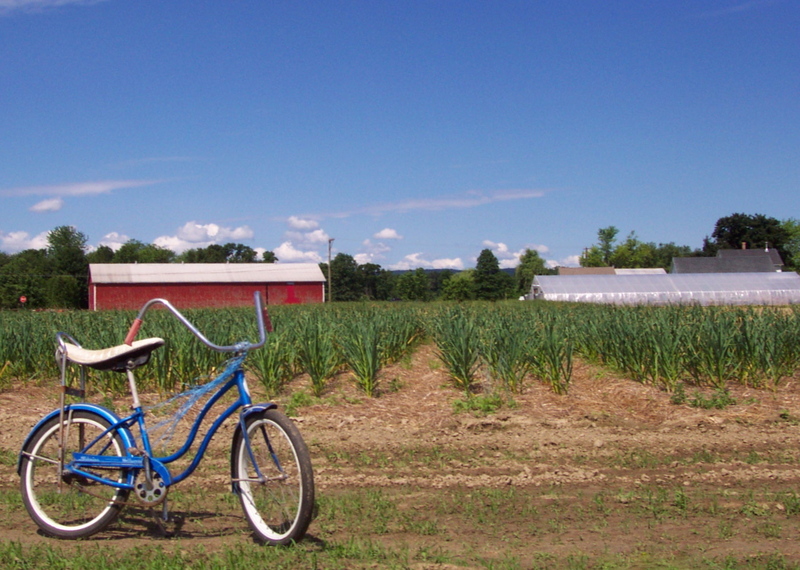 That’s a blue Schwinn in front of a field of garlic; big red barn and hoop house in the background. Yep, those are blue streamers on the handle bars. On Riverland’s twenty-five acres it’s essential to have a way to get around. I’ll post more farm fleet photos soon.